Fitbit (FIT) completed another successful holidays where their app ranked in the top 5 locations on the iPhone in 6 countries. 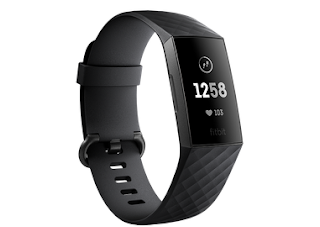 In the Health & Fitness category, the Fitbit app reached the top rank in 29 countries. Square shareholders have to reset expectations with the stock down $50 from the highs. Decelerating revenue growth trends will not be helped by a slowdown in the economy. The stock still trades at an elevated 12x '19 sales estimates. Despite obvious valuation issues,Square(SQ) investors were riding the stock higher above $100 earlier this year. The mobile payments provider traded at a market valuation approaching $50 billion while the company only guided adjusted revenues to $1.57 billion for the year. Myprevious articlediscussed that even a dip to the recent price of $50 would leave the stock in a stretched valuation so investors need to be careful chasing the stock here. Read the full article at Seeking Alpha. 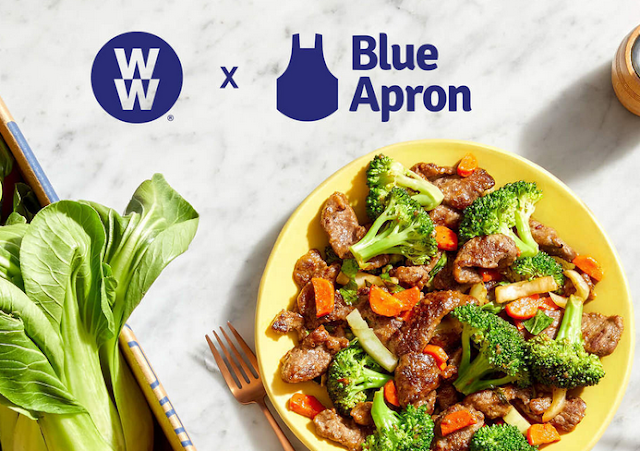 Blue Apron (APRN) has soared above $1 following news that the company has a partnership with Weight Watchers International (WTW). The move makes one wonder whether the partnership will lead to Oprah Winfrey pushing Blue Apron products. If so, investors can only dream of the same boost provided to Weight Watchers following their deal with Oprah. Beginning on October 1, 2015, the stock surged over 1,500% in the next 3 years. One of the biggest momentum trades coming out of the market correction of 2018 will likely be Square (SQ). The mobile payments firm dipped an incredible $50 or 50% from the peak in September over $100. The stock bounced off strong support around $50. Alphabet is positioned for substantial hardware revenue growth. The hardware division isn't positioned as a profit driver due to low margins. The smart speaker business isn't materializing as a direct profit driver as consumers shy away from voice commerce purchases. The stock remains cheap based on an enterprise value, trading at only 13.4x forward EPS estimates. As other tech giants make the move to high-margin services, Alphabet(GOOG, GOOGL) continues making the odd shift into hardware. 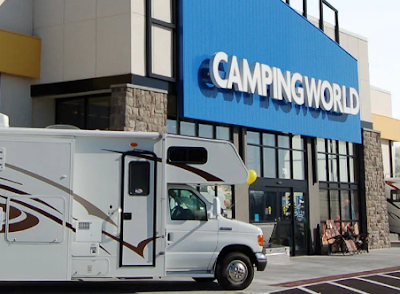 A big part of the move is to lock consumers into their services and advertising revenue streams. The stock remains incredibly cheap back below $1,000 as highlighted in my previous research, but the push into hardware isn't likely to contribute to this valuation. Read the full article on Seeking Alpha. As part of the announcement regarding the acquisition of Small Giant Games for $560 million, Zynga (ZNGA) increased bookings guidance for Q4. The mobile-game developer now expects to reach $260 million in bookings during the quarter prior to closing the deal. Citron Research issued a $20 price target that isn't likely to be reached. The negative call is based on a 2017 report that's already outdated. The 2019 revenue growth rate doesn't accurately reflect the ongoing turnaround of the social media platform. A healthier Twitter will exceed the growth rates of competitors, warranting a higher stock price. The social media space continues to get hit by fears of data privacy and abuse mostly related to prior years.Twitter(TWTR) ended down more than 23% to $27 last week as Citron Research flipped back to negative on the stock based on a study of 2017 tweets by Amnesty International. Myprevious research already discussed the improved health of the network and this report doesn't appear to do anything but prove why the company has aggressively moved to cut trolls. Read the full article on Seeking Alpha. The amazing part of Freeport-McMoRan hitting new lows at $10 is that copper prices have held up relatively well at $2.70/lb. The company highlighted a position of solid cash flows with copper up at $2.85/lb. The recent weakness gets the copper miner closer to breakeven levels on a free cash flow basis, but all of the upside is in a trade deal with China that boost copper prices. Back above $3/lb, FCX starts generating up to $3 billion in annual FCFs. Much higher prices are all but inevitable as the market weakness derails new mines. Use this weakness for the ultimate entry point here for a stock with a market cap down to only $14 billion. The only problem here is that the stock could head lower. The chart shows a never ending downtrend. Tilray is generally viewed as an expensive stock with a $7 billion valuation and reported quarterly revenues of only $10 million. The October 17 legalization of the adult-use market in Canada is a major catalyst for the stock. Analyst revenue estimates appear low at only $12.8 million for Q4. The bear thesis could fall apart, if revenues top estimates as expected. After a hot IPO and first few months of trading,Tilray(TLRY) has come crashing down to $75. Shorts have generally written off the stock due to valuation concerns, but the company has the potential to prove the negative thesis wrong with operations in both Canada and Europe along with some high-profile partnerships. Read the full article on Seeking Alpha. Micron Tech updated the market with horrible FQ2 guidance. The down cycle is only starting in the current quarter with historical down cycles lasting multiple quarters. The company built the net cash balance to record levels indicating the hidden weakness expected. Investors should expect additional weakness in FQ3 and shouldn't rush into the stock until YoY revenue declines reach a low. Myprevious researchtried to repeatedly warn investors that doom was still around the corner inMicron Tech(MU). Typically, the memory giant doesn't bottom out until the company has had multiple quarters of substantial revenue declines. The stock just wasn't going to bottom out after the previous quarter where YoY revenue growth was still up at 37%. TheFQ2 guidancegets the stock closer to a bottom, but it's still too early to get into Micron Tech. Read the full article on Seeking Alpha. JNJ continues to face escalating liability risk due to talc cancer lawsuits. The authorized $5 billion share buyback reduces confidence in the stock. Even after the selloff, the stock isn't appealing at 15x forward EPS estimates with the liability risk overhang and potential brand damage. In the middle of a crisis,Johnson & Johnson(JNJ) authorized a headline-grabbing stock buyback. The amount actually suggests that the talc lawsuits might have a bigger financial impact than originally thought. My consistentinvestment thesisremains intact that the stock should be avoided on this liability risk even after the stock dips nearly $20. Google CEO confirmed the company wasn't planning on entering the Chinese search market. Oddly, Baidu ended down on the day despite this bullish news. The stock trades at only 13.5x '20 EPS estimates despite double the growth rate. Baidu(BIDU) remains one of the more perplexing stocks in the market. Despite a blooming Chinese internet sector, the market always has an excuse for avoiding the stock. My long-terminvestment thesishasn't changed, and the stock only becomes a better bargain on every dip. Read the full article on Seeking Alpha. Under Armour provided 2023 financial targets at an Investor Day. The athletic apparel company has long-term plans for 10%+ operating margins. Based on company projections and peer margins, my 2023 EPS projection approaches $2. In a much anticipated event whereUnder Armour(UA,UAA) discussed long-term growth targets, the market was apparently disappointed with the updated 2023 projections. Mybullish investment thesishas long held that the athletic apparel company was under-delivering on margins, and their updated business model actually reinforces that thesis despite the initial 10% dip in the stock. Qualcomm is well positioned for the global launch of 5G. The wireless giant already has 20-plus license deals and expects to generate more revenue from additional RF front-end content. The delayed launch of the Apple 5G iPhone plays to the advantage of Qualcomm. The company remains on track for $7-plus EPS prior to 5G related growth. The most important note from the Snapdragon Tech Summit last week is that 5G is a global rollout utilizingQualcomm(QCOM) technology. A lot of the domestic wireless network providers are racing to become the first 5G providers, but anybody just focusing on the domestic market is missing the huge global market converging on 5G while other countries were far behind on 4G. Read the full article on Seeking Alpha. Disclosure: Long QCOM, AAPL. Please review the disclaimer page for more details. Aurora Cannabis agrees to buyout distribution partner in Mexico after one business day. The company has now formed an extensive global distribution and partnership network at the cost of major shareholder dilution. A legitimate investor should question whether Mexicans will buy Canadian cannabis with readily available domestic supplies. Maintaining key support at $5.40 is crucial for owning this cannabis stock. When a company issues news seen as generally bullish by the investor community and the stock declines, investors should start asking more questions. Shareholders ofAurora Cannabis(ACB) find themselves in that situation with the stock trading down slightly on the news of buying the only licensed importer of medical cannabis in Mexico. The deal sounds too good to be true reinforcing myinvestment thesisof watching the price action in the stock for confirmation that a leader in the cannabis sector is headed in the right direction. Read the full article on Seeking Alpha. Analysts are providing a holiday gift with the constant price targets cuts on Apple. The number of Buy ratings on the stock are at a low since the financial crisis. The actual number cuts aren't that aggressive. The stock trades at only 11.7x FY20 estimates before excluding a large cash balance. Ever since Apple (AAPL) reported FQ4 results back on November 1, analysts have repeatedly come out negative on the stock. The company decided to quit reporting iPhone unit sales and the market hasn't stopped hammering the stock on feared sales weakness. One of the best ways to play analysts downgrading a stock in mass is to take a contrary view and the recent price cut of an ultra-bull is the likely signal that analysts are generally done cutting Apple targets. Read the full article on Seeking Alpha. FedEx gets hit by Amazon fears every couple of years. The online retail giant isn't even a 3% revenue customer. Analyst estimates shouldn't take a hit from the expected growth of Amazon Air. The stock is too cheap trading at about 10.4x FY20 EPS estimates. The time to buy FedEx Corporation (FDX) is when the market gets anxiety over Amazon (AMZN) expanding into the package delivery space. While the large online retailer is always a threat, FedEx should continue riding the delivery economy higher. Read the full article on Seeking Alpha. Facebook continues to face a very negative news flow. Users deleting Facebook appears to have already peaked. The EPS trend has started heading back up. An additional $9 billion stock buyback authorization helps shift investor sentiment back positive. When a stock quits going down on negative news, the stock has probably hit the lows. Facebook (FB) finds itself in that position with an ongoing negative news flow and a stock that has rallied off the November 19 low and held in the face of a another market selloff. My investment thesis was negative on the stock when $150 didn't hold, but the thesis is shifting back bullish here below $140. Read the full article at Seeking Alpha. Aurora Cannabis is now down 55% from the highs around $12.50. The market cap remains a large $5 billion despite the company only reporting pro-forma quarterly revenues of $35.6 million. The stock is oversold and back to strong support at $5.40. Any further weakness in the face of surging demand and reports of beverage and tobacco industry interest would a huge negative signal. The best time to get into a market like the previously hot cannabis sector is after the related stocks are beaten down. Such is the case for Aurora Cannabis (ACB) now down over 55% from the double top at $12.50. As more and more areas legalize medical or recreational cannabis use, the market opportunity will only grow exponentially. The market dynamics of the cannabis sector are complex and the stock valuations are still stretched so the best way to derive the right valuation for Aurora Cannabis is the strong support at the current price. Read the full article on Seeking Alpha. The news on the Samsung 5G Galaxy and iPhone should solidify that 5G won't be ready for prime time anytime soon. Verizon recently hit $60, topping off a big rally since the summer. The improved payout ratio from AT&T will make Verizon a source of funds as investors flip into that much higher dividend yield. TheannouncementthatSamsung(OTC:SSNLF) andVerizon Communications(VZ) won't launch a 5G phone until next year will likely lead to a pause in Verizon stock. The stock recently hitmy targetat $60 likely on the back of 5G excitement. The lack of devices to connect to a 5G network should cause the excitement over the new technology to come to a sudden halt. Read the full article on Seeking Alpha. Disclosure: Long AAPL, QCOM. Please review the disclaimer page for more details. AMD (AMD) has made a solid rally off the lows in November. The stock appears good to go on any dips here with a rising support line. AMD reached a high of $34 back in September and due to market share gains the company appears poised to survive and thrive in any downturn. An easy initial target on the stock is a re-test of those highs in early 2019.